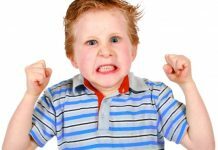 Home Behavior Problems Does Your Child Bully Others? Deal with Bullies! 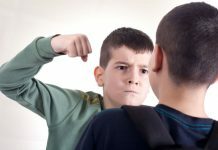 Does Your Child Bully Others? Deal with Bullies! There will be no school in the world that does not have some sort of bullying. You have not experienced child bully perhaps but you might have heard. You can see bullies in television shows and movies. You can see older child beating younger one for their lunch money. The child being bullied goes home and talks to his father. His father advises him to stand and fight back. In real life, it will not work and is never easy. As a parent, you have to understand that if your child stands for bully, he will come with injuries and your hard earned money had fed another child’s stomach. Not physical! Child bully is not always physical. It can be emotional and verbal also. These are even worse because it causes emotional trauma even throughout the adulthood. Children who demonstrate child bully look like insensitive and cruel, but they too have some qualities just like those of your child. Many times, child bully comes from home where they are bullied or abused by older siblings or even their parents. These children use bullying which was taken by them to get back some control. Some kids use bullying to hide their own fear. They attack before others have a chance to attack. Often the child bully and the victim have low self-esteem. They both be insecure of their physical appearance. 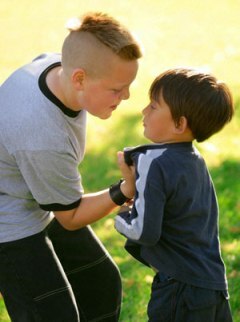 The common thing in child bully and the victim is lack of social skills. You have to understand the psychology of child bully to understand the situation better. Some one has to take action to stop bullying. School official, parent, or even the victim can stop bullying. You can stop your child from being bullied by building up the confidence and foster independence. When your child is able to overcome the situation, it will end up the bullying. Your child also feels confident of child bully once he handles the situation. If your child is a victim of child bully, don’t make your child feel that he is at fault. Stress the fact that bully is the problem and not the child. 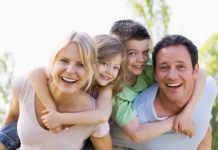 Even if you want to take the situation under control, allow your child to become independent. 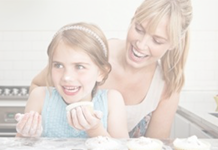 Offer support to your child. Don’t allow your child to depend on you. Allow him to take the decisions on his own. Many parents encourage child bully and tell their children to hit back to stop the bullying. On one hand, it can be a self-defense. But, on the other hand child thinks that violence is the way to solve the problem. You don’t want your child to become a child bully himself. If child bully continues, contact bully’s parents. Don’t accuse child or parents. Ask the bully’s parent why the child is bullying others. Find out positive solutions for the problem. If everything fails, contact school officials and explain the problem. Don’t allow your child to be bullied. Previous articleChild Medicine! How Can You Help Your Child To Take Medicine? 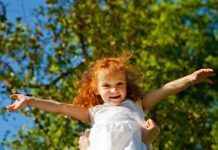 Next articleWays To Cope With The Stress Of Parenting Child!